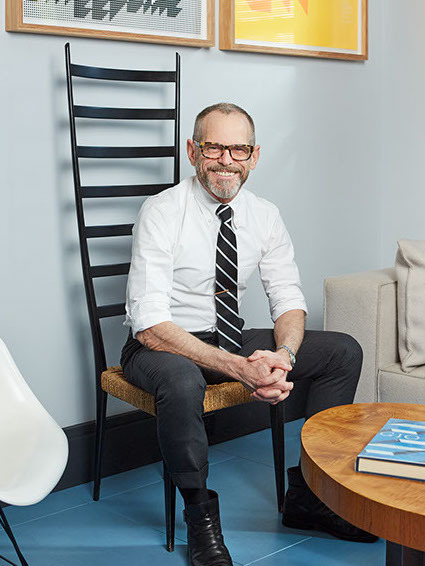 Franklin Salasky has been practicing interior design for more than 40 years, most prominently as a founding partner of B Five Studio, which opened in 1981. The firm, then known as Bentley, LaRosa, Salasky, Architects and Decorators, achieved distinction with countless feature articles in architectural journals, shelter magazines, and in books on subjects relating to home and garden design, and design work in fashion showrooms, offices, retail, and gallery spaces. In 1984 the Architectural League in New York City cited the firm as the recipient of their Emerging Voices Award and in 2011 Elle Decor magazine awarded B Five Studio a spot on their coveted A-List. Franklin, a native of Norfolk, Virginia, is an alumnus of the Rhode Island School of Design. He lives between Brooklyn and East Hampton with his longtime partner, Billy Gallo. In both residences, Franklin gardens avidly. He was an early and strong proponent of the use of native plants in landscaping, a point of view now widely accepted. With great pride and care, Franklin has been consulting on the selection of new furnishings for the Institute of Fine Arts at New York University.